Tapestry and antique rugs weaving was an important part of Yugoslavian tradition before the country was divided up by the war. Free internationally shipment all over the world. 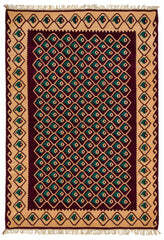 Collect also kilim rugs here!